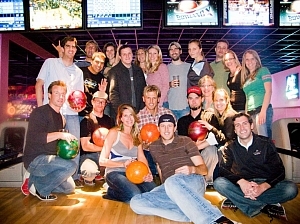 Social Bowling Leagues Are Fun! Sports Monsters love to bowl! 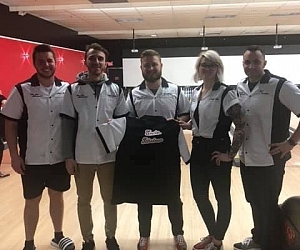 However, many people do not like to be tied into the forever and ever leagues that are typical for bowling.We run 6 week leagues which are perfect for enjoying a season with friends and either come back for another season or move on to another fun Sports Monster league with the team. We have teamed up with AMF at their premiere center(s) in the area. Leagues now include free shoe rental, ball rental, up to 8 bowlers per lane and lower pricing than before = a great value! Join us this Spring at AMF Sawmill for our Spring 19 league. Each week is a fun week at the lanes. Most leagues allow only 4 bowlers per lane. That's fine but we like it SOCIAL! With Sports Monster, you can have up to 10 bowlers on your roster. 6 folks can be on lane. So if all 10 show up. then it is time for some bar games! But all 6 can bowl at the same time which makes it a great time for interacting with friends as well as making it more likely to socialize with the opposing teams. - SOCIAL format. Have as many as 10 people on your team/max 6 at lane.